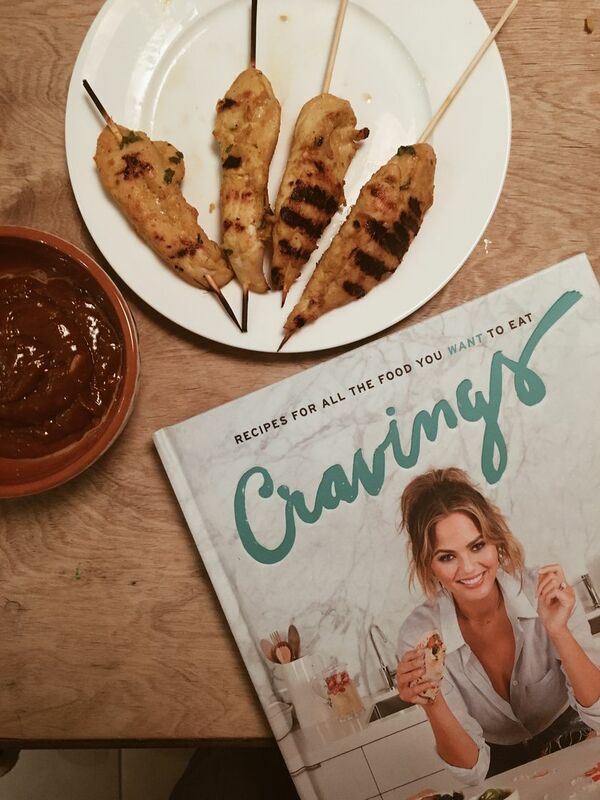 We can't get enough of Cravings, the truly unique, humorous and utterly delicious cookbook from model and social media queen, Chrissy Teigen. If you like your flavours bold, your food comforting, and your cookbooks full of pictures of Chrissy and husband, John Legend, eating some seriously good looking food together, then this is the one for you (and us, we're totally addicted). What I thought: Cravings is one of the most unusual and exciting cookbooks I’ve come across this year. 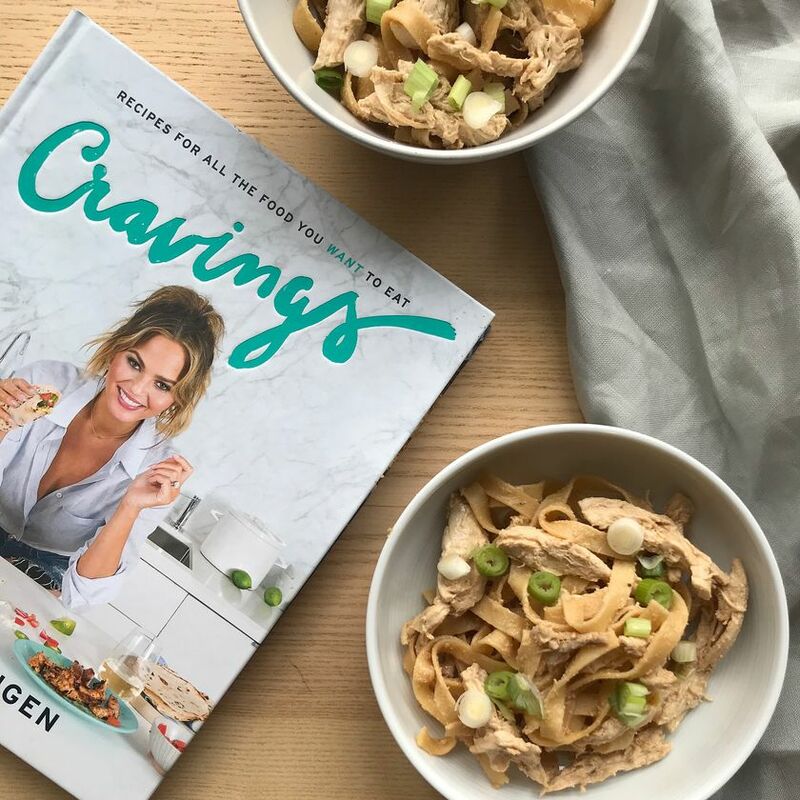 It’s packed with recipes that make your mouth fall open with desire at the thought of eating them, and Chrissy Teigen’s writing – with its unashamedly loud wit - is a real joy to read. And then there are the photos: page after page of gloriously playful shots of Chrissy and her husband John Legend (and their pet French bulldog) enjoying the fruits of Chrissy’s kitchen labour. As a package, it’s pretty unbeatable. The cooking – The recipe was fantastically simple but I managed to cause chaos by attempting to cook chicken on wooden skewers at a high temperature under the grill in my oven. There was a LOT of smoke. And some flames. But I did end up with some decent-looking (if somewhat charred) satay chicken at the end (and didn’t have to call out the fire brigade). Note to self: use a griddle pan next time, as suggested by Chrissy. The eating – A resounding thumbs up from every family member for the chicken skewers. In fact, the whole lot disappeared in a matter of minutes. The children turned their noses up at the peanut butter sauce but I was secretly pleased. More for me. I loved it to the point of spooning it into my mouth long after the satay was gone. WARNING: do not eat this dish the night before a job interview, and only on a date night if you are both tucking in. The raw garlic is FIERCE. An all-round success (minus the fire incident) and a dish I’ll definitely make again. What I thought: Ever find it really frustrating in a restaurant when they ask you to ‘say when’ while grating parmesan, and then stop anyway EVEN THOUGH YOU DIDN’T SAY ‘WHEN’? With this recipe you’ll be able to grate cheese till your heart’s content, there really is never too much for this pasta. Anything involving copious amounts of cheese and pasta is my absolute dream dish, so this weekend I cooked Chrissy’s delicious Lemony Rocket Spaghetti Cacio E Peppe pasta for my flatmate for a cosy Sunday night in. This is such a quick and simple dish, and makes such a satisfying, hearty bowl of pasta for a cold winter’s day (or any day, really). I treated myself to a fancy Parmigiano-Reggiano cheese (worth splashing out on for this dish – you use nearly the whole block, which is absolutely fine by me). I was probably a bit heavy handed with the pepper flakes so the pasta had a real kick, but it was still so delicious and the lemon adds such great fresh flavour. Also the addition of rocket made me trick myself into thinking this was practically half salad therefore really healthy. My recommendation is that wine and garlic bread are the perfect serving accompaniments. And extra parmesan. What I made: Sh*t on Toast (from left to right) Brie & Rasberry. Fig, Ricotta & Honey. Mashed Avocado, Tomato & Red Onion. Tomato, Coriander & Herbed Cheese. What I thought: They were so quick and easy to whip up, but look absolutely show stopping and taste delicious . . . Who knew raspberry jam was so simple to make. They are perfect for lunch and sharing with friends. 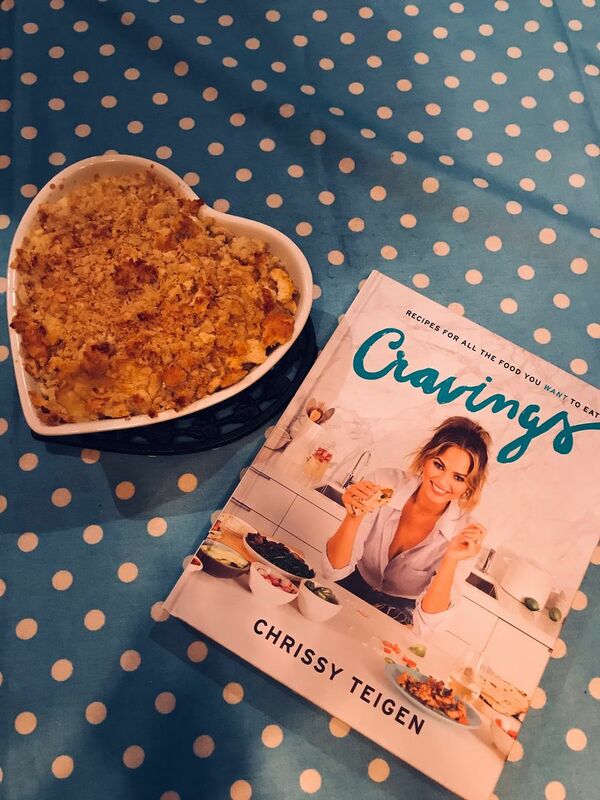 What I thought: Mac and cheese is my go to comfort food, so when I saw Chrissy’s recipe I desperately wanted to try it. This was a delicious mac and cheese with a lovely added twist of garlic breadcrumbs. These were a touch of genius and I’m copying this idea for any future pasta dishes I make. It was crunchy and tasty and made the mac and cheese even more mouth-watering. Be prepared to use a lot of cheese in this recipe! I went shopping to buy four different types but it was worth it. The cheese sauce was delicious, creamy, gooey and dangerously more-ish. . .
Chrissy’s recipe uses a food processor to make the breadcrumbs which I unfortunately didn’t have, but we easily made do with a grater and tearing chunks off. I would definitely make this Mac and Cheese recipe again. 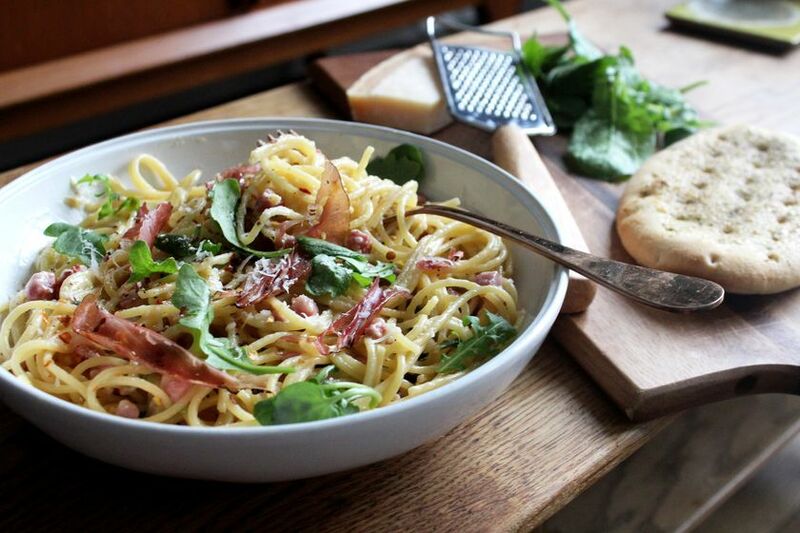 Granted, it may take a bit longer than normal, but it’s worth it for the gorgeous cheesy and garlicky taste – yum! What I thought: GENUINELY the most delicious fajitas I’ve ever eaten / made and a great way to polish off any leftover margarita. The marinade was super easy to put together and tasted delicious. 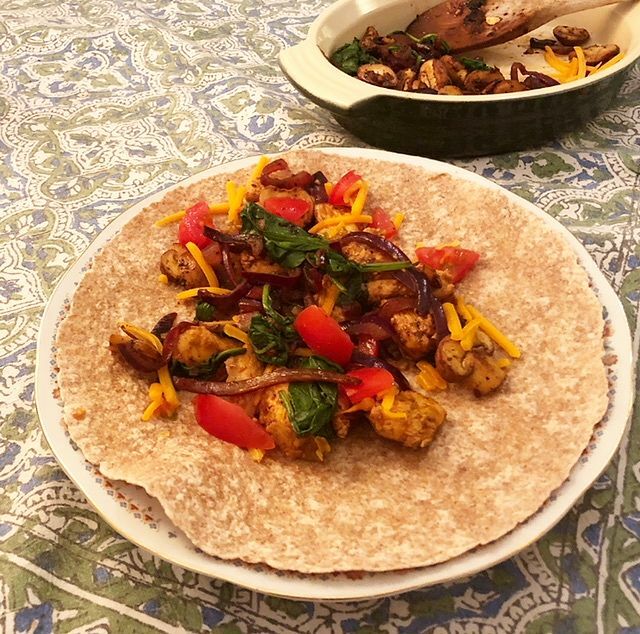 I would never usually put mushrooms or spinach in a fajita and was a bit worried I’d miss the classic pepper addition but I didn’t and loved the whole combination. 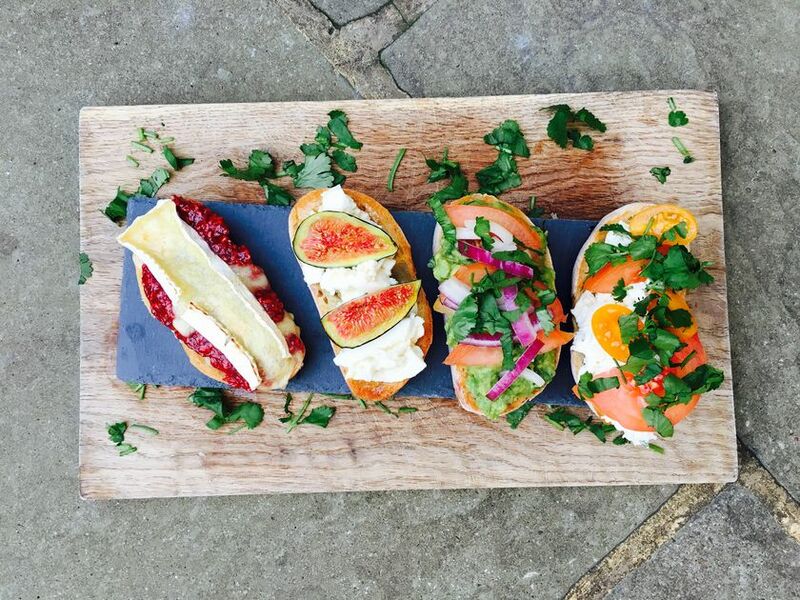 It was super simple to put together and was zingy, tasty and fun! 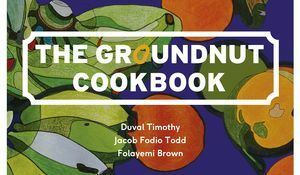 Can’t wait to try out more recipes from this book. What I thought: I take cheese very seriously, so to label something without any cheese in it as cheesey seemed like a very bold move. However, I put aside my suspicions and whipped up these scrambled eggs for a Sunday brunch and wow. I am so glad I did. 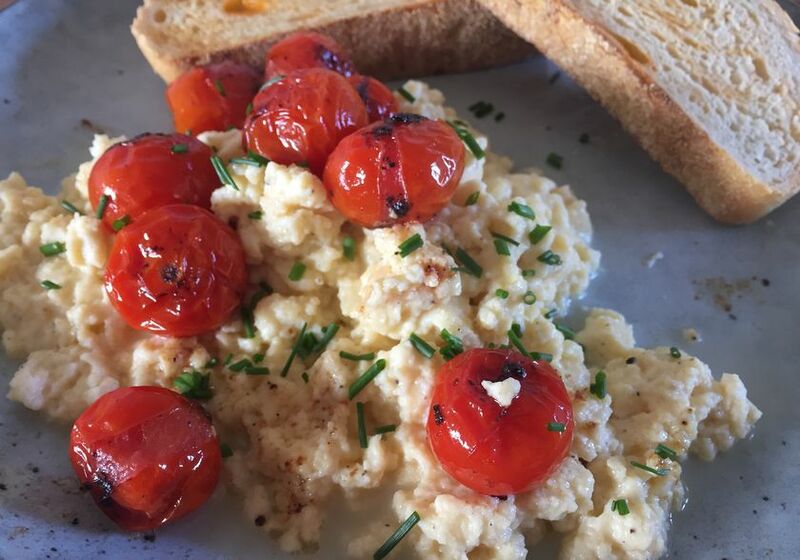 It's a wonderfully luxurious take on a classic - who doesn't like scrambled eggs?! - that I will certainly be serving again. The double cream was a ridiculous yet delicious addition that made them undeniably creamier than my usual milk and butter combo, and the chives were a lovely touch that added some zazzy flavour. Throw in those juicy cherry tomatoes for a splash of colour and sweetness and this plate had everything I could want at breakfast. Easy, colourful, tasty, best served with a side of fresh and lightly toasted white bread. What I thought: Who doesn’t like pasta? Especially a pasta bake bubbling with gooey mozzarella bombs. I’m making myself a bit hungry just thinking about it. 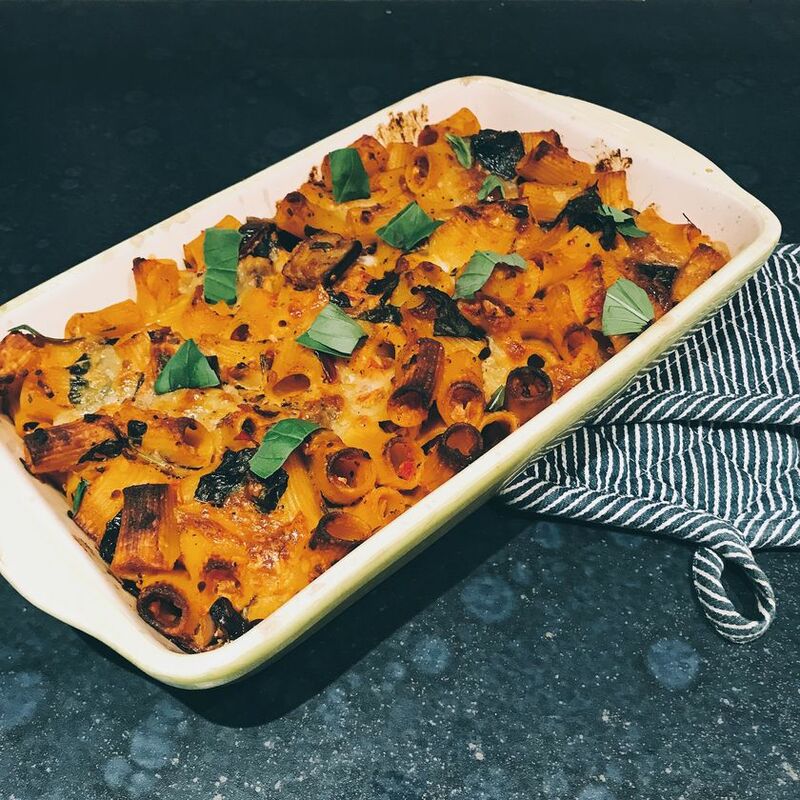 Pasta alla Norma is one of my favourite pasta recipes so when I saw Chrissy's baked version, I knew I had to give it a go. After the drama of ingredient shopping (two supermarket trips later, I left with three somewhat sub-standard aubergines…), I set to work on the ‘perfect tomato sauce’. Now, I’m usually quite sceptical of tomato sauce recipes because I often find them too sweet and, frankly, is there any tomato sauce better than Marcella Hazan’s iconic recipe? This one, however, does live up to the title – it’s a perfectly balanced sauce filled with herby flavours. The sauce took quite a while to make as I opted for fresh tomatoes (though you can use tinned if you prefer) and chopping nearly a kilo of them takes some time, but once everything’s chopped it’s all very easy. The rest of the recipe is fairly straightforward too – fry the aubergines, cook the pasta, mix everything together, add cheese, pour into a baking dish and pop it in the oven for an hour. All in all, it’s all pretty easy so even a novice chef can throw together this simple recipe and bask in the compliments they’re bound to receive. The aubergines are melt-in-the-mouth soft and all that ricotta and mozzarella means it’s deliciously cheesy and rich. A couple of things I’d note for next time – although this recipe is easy to make, it did take me about two hours, so definitely one for a dinner party or weekend! An hour at 200C seems like quite a long time for this to be in the oven so I took it out after about 40 minutes and it was just right. Finally, the recipe is for 8-10 so I halved it but still managed to fill two baking dishes and have enough to serve eight. 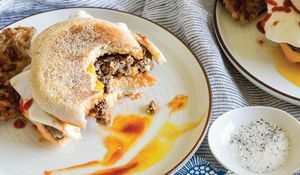 That aside, I’ll definitely be adding this one to my list of regularly-cooked recipes. What I thought: This is my kind of recipe. Not only does it contain so many of the things I love (carbs, pulled chicken and an Asian sauce), it is also so simple it's almost too good to be true. Poaching the chicken keeps it lovely and tender and very easy to pull and that sauce, my goodness that sauce. I want to douse everything in it from now on. It had a lovely balance of subtle bitter flavours from the tahini and sweetness from the honey, with salty soy sauce and nutty peanut oil. The whole thing was ready in around half an hour and we had enough leftovers to take to work for lunch the following day, at which point it tasted just as good. It's a firm yes from me. 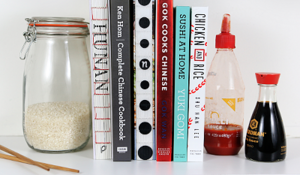 From model, social media queen and true foodie, Chrissy Teigen, comes this collection of totally delicious recipes for food you truly want to eat. If you're feeling a little ropey after last night's festivities, our round-up of the best food to cure a hangover has everything from recipes inspired by scientifically-proven theories to the carb hit you're craving.